In the US, former Kantar Video CEO Bill Lederer has launched a digital media trading firm called MediaCrossing, which offers planning, bid management, business intelligence, data analytics, and optimization services. The firm has also raised $6m in Series A financing. 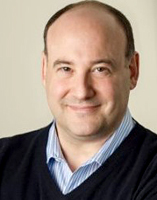 Lederer (pictured) previously worked at WPP-owned Kantar, most recently as CEO of Kantar Video, prior to which, he was COO of Kantar Media Audiences North America, and Global Chief Development Officer at Kantar Media Audiences. Earlier in his career, he was President of Minotaur Media, CEO of Getty Images' Consumer Division, and he founded e-commerce company Art.com. He has co-founded the new Stamford, CT-based company MediaCrossing with former Wall Street technologist Ted Yang. Their proprietary MX Platform solution comprises three components: primary trading platform MX Bridge; data management platform and reporting suite MX Data; and planning, bid management, business intelligence, data analytics, yield management, and optimization system MX Datalytics. The company's launch is supported by a $6m Series A equity financing round from Minder Cheng, Daniel Tierney, Steve Schuler, Jerry Putnam, Connecticut Innovations and Rialto Bridge Partners. At launch, the firm has eighteen clients and sixteen full-time employees.